The Motorola G5 Plus is one of the best mid-range phones of 2017. Good looks are combined with a superfast octa-core processor, 32GB of memory, a good camera and decent battery life. Top value for money! 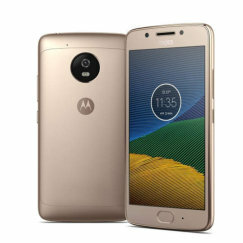 The 5th generation Moto G5 phone is a good value mid-range phone with smart looks, smooth performance, a decent camera, and reasonable battery life. It's not the most exciting phone you can buy, but it's a safe low-cost option. The Motorola G4 does everything you could ask of a mid-range phone. Running Android M, it's strongest features are probably its high resolution 5.5 inch screen and its larger-than-average battery. It's water-repellent too, with an 8-core processor, 16GB of memory, and a good camera. Seems like nothing's missing! The Motorola Moto C is one of the cheapest smartphones you can buy, and if you're looking to spend under �100, then this is as good a choice as any. Don't expect it to be anything more than a very basic phone, and you won't be disappointed. Plain in looks and under-powered in features, the Moto G4 Play is one to miss. While it may be water-repellent and have an all-day battery, the processor is slow, there's insufficient RAM to run apps, and the display is lacklustre. Look at Samsung or Huawei instead. Google Nexus 6 review - The Google Nexus 6 is a phablet-style handset with a stunning 6-inch screen. Running the latest Android Lollipop, it offers very impressive performance at a fair price, but its main disadvantage is its huge bulk and weight. Motorola A1000 review - The Motorola A1000 is a 3G smartphone, designed for business users needing to access email, websites, documents and contacts on the move. Motorola A830 review - The Motorola A830 was Motorola's first 3G phone available in the UK. Motorola A835 review - The A835 is Motorola's follow up to the A830, the company's first 3G phone available in the UK. Motorola A920 review - The Motorola A920 is a high-spec 3G smartphone with a Symbian operating system. 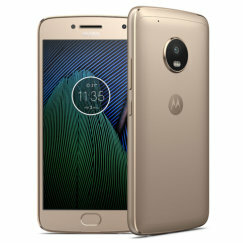 Motorola A925 review - The Motorola A925 adds Bluetooth� and Infrared wireless connectivity to the A920 3G smartphone. Motorola Atrix review - The Atrix features a dual-core processor giving it stellar performance, and also comes with a fingerprint scanner and an optional docking station, turning your cell phone into a laptop computer. Motorola Aura review - Rarely has a mobile phone manufacturer made such an error of timing. 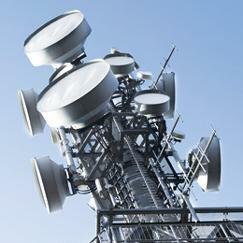 Releasing a �1,300 phone in the middle of a global recession - duh. Motorola C350 review - The Motorola C350 lets you download and remix your own polyphonic ringtones, using the unique MotoMixer to create your own tones. Download ringtone tracks created by top DJs, select the tempo, and start mixing! Motorola C450 review - The Motorola C450 lets you download and remix your own polyphonic ringtones. Motorola C550 review - The Motorola C550 brings an integrated digital camera to the popular Motorola C350 design. The integrated camera features a 2x digital zoom. Motorola C975 review - The Motorola C975 is an entry-level 3G mobile with a traditional "candy bar" shape, and is available on the 3 network. Motorola E1000 review - The Motorola E1000 is a very powerful 3G mobile that combines the functionality of a phone with an MP3 player / media player. Motorola E1070 review - The Motorola E1070 is an upgraded version of the E1000. Motorola E365 review - The Motorola E365 is an entry-level camera phone. Motorola E398 review - The Motorola E398, available in the UK on on T-Mobile has been designed as a dual-function mobile phone and music player. Motorola E550 review - The Motorola E550 is based on the Motorola V300, and is available on T-Mobile. Motorola Jewel review - The Motorola Jewel is a phone that looks like a jewel, and a whopping-sized jewel at that! What girl wouldn't want to carry this in her handbag? Motorola KRZR K1 review - Super-slim clamshell phone, with reflective glass-coated surface, video camera, 2 megapixel camera, music player, expandable memory & Bluetooth. Motorola KRZR K3 review - The Motorola KRZR K3 wasn't officially released in the UK, so we don't have an expert review of it, but read the user reviews below to find out more. Motorola L2 review - The Motorola L2 is a superslim budget phone. 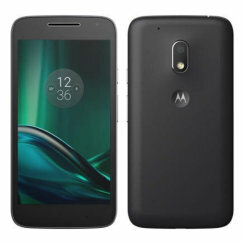 Motorola L6 review - An ultra-slim "candy bar" style phone with video camera, MP3 ringtones & Bluetooth�. Motorola MAXX V6 review - 3G RAZR phone with 2.0 megapixel camera, video calling, music player, memory card, Bluetooth� & HSDPA (3.5G). Motorola MPx200 review - A clamshell smartphone based on Windows Mobile� software. Motorola MPx220 review - A smartphone based on Windows Mobile� software. 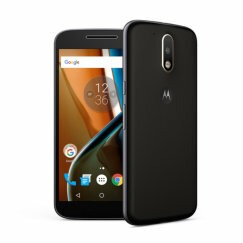 Motorola Moto E 4G review - The second-generation Motorola Moto E is an entry-level smartphone that offers outstanding value for money. It may lack premium styling, but it has everything else you could want from a budget phone. Motorola Moto E review - The original Motorola Moto E is a very cheap Android phone that offers a lot for the price. 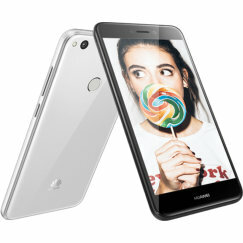 It's compact, with a large screen, a reasonably fast dual-core processor and excellent battery life. The camera is a real disappointment, but everything else is good. Motorola Moto G 3rd Gen review - The third generation Moto G is a competent mid-range Android phone with colourful, changeable covers. It's a good all-rounder with a nice camera and good battery life. 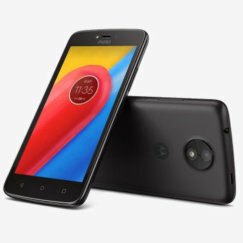 Motorola Moto G review - The Motorola Moto G is simply the best low-cost Android smartphone available right now. 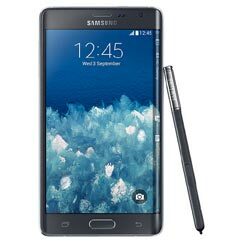 Highlights include a 4.5" HD screen, quad-core processor, large battery and interchangeable back covers. Motorola Moto X Force review - Motorola's Moto X Force is a super-hero phone, claiming a shatterproof screen and the largest battery of any phone we've ever reviewed. Not only is it invulnerable to attack, but it comes with a superb 5.4 inch screen, a Snapdragon 810 processor, and plenty of onboard storage. In plain black, it looks unremarkable, but there are plenty of customisation options available, if you enjoy dressing up. Motorola Moto X Play review - The Motorola Moto X Play is a big-screen Android smartphone with customisable backs and accent colours. It's a very well-specified, balanced phone with a good processor, Full HD display, excellent camera, and very strong battery life, but is larger and heavier than most phones. If you don't mind the size, this is a truly impressive phone. Motorola Moto X Style review - The Motorola Moto X Style is a bit of a curiosity. 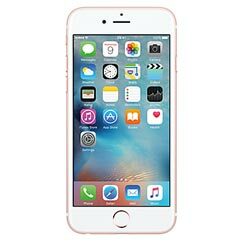 Priced as a high-end phone, it offers some flagship features, such as an impressive Quad HD display and a 21 megapixel camera. The screen is an enormous 5.7 inches, making the phone large and heavy, and not particularly stylish, in our opinion. Motorola Moto X review - Positioned somewhere between the budget-beating Motorola Moto G and the high-end Google Nexus 5, the Moto X is a well-specified phone with Android KitKat and a very good range of features. It's compact with a curvy shape, and offers a good AMOLED display, a high quality 10 megapixel camera and 4G connectivity. Battery life could be a little stronger though. Motorola PEBL review - A clamshell phone with video camera, MP3 ringtones & Bluetooth�. Motorola RAZR HD review - The Motorola RAZR HD is a superslim yet ultra-strong Android phone with a 4.7 inch HD screen, outstanding battery performance and 4G compatibility. Motorola RAZR MAXX review - The Motorola RAZR MAXX is an ultraslim Android phone with the longest talktime of any smartphone. Motorola RAZR i review - The Motorola RAZR i is a slim & compact smartphone with a large 4.3 inch display. Powered by a fast Intel processor, it runs Android 4.0 and features NFC connectivity and outstanding battery life. Motorola RAZR review - The new Motorola RAZR is an ultraslim Android smartphone built from Kevlar fibre. Motorola RAZR2 V8 review - Super-slim clamshell phone, with video camera, 2 megapixel camera, music player, 2 Gbyte memory & Bluetooth�. Motorola RAZR2 V9 review - The Motorola RAZR2 V9 is almost exactly the same as the RAZR2 V8, except that it's a 3G version. Motorola RIZR Z10 review - The Motorola RIZR Z10 is an updated version of the RIZR Z8, making it Motorola's flagship 3G smartphone. Motorola RIZR Z3 review - The RIZR Z3 is a slide version of the superslim RAZR phone. It's a great-looking phone, especially with the cool blue backlighting on the keypad. Motorola ROKR E1 review - The Motorola ROKR E1 is a joint development by Motorola and Apple and is the first mobile phone to support Apple's iTunes� system as used in the iPod. Motorola ROKR E8 review - The ROKR series is Motorola's answer to Sony Ericsson's Walkman range, and is intended primarily as a music phone. Motorola ROKR Z6 review - The Motorola ROKR Z6 was never officially released in the UK. Motorola SLVR L7 review - An ultra-slim "candy bar" style phone with video camera, music player, memory card & Bluetooth�. Motorola SLVR L9 review - The Motorola SLVR L9 was announced, but not released in the UK, but read the user reviews to find out more. Motorola T720 review - The Motorola T720 is a fun flip-phone aimed at the personal market. 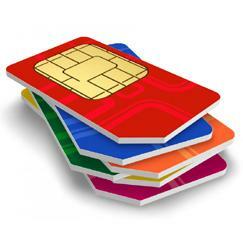 It offers a colour display, polyphonic ringtones and downloadable Java� games. The phone is easy to use with an icon-driven menu, making good use of the colour display. Motorola T720i review - The Motorola T720i adds a plug-in digital camera to the popular Motorola T720. Not bad when first released, the T720i now looks very dated. 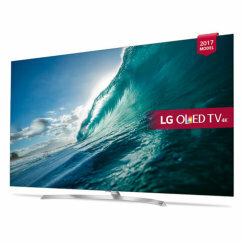 The display is mediocre, the memory poor, and there is no cable for transferring photos to a computer - only infra-red or EMS to transfer images. Motorola U9 review - No question about it - the Moto U9 is definitely a girl's phone. It's a cute, curvy clamshell and comes in a choice of two colours: pink or purple. Motorola V1050 review - The Motorola V1050 is an upgraded version of the V975/V980. It's a 3G clamshell phone with plenty of high-end features. Motorola V220 review - The V220 is an entry-level camera phone. Motorola V3 review - The RAZR V3 was the original superslim phone, and is still a great-looking handset. Motorola V300 review - The Motorola V300 is a decently featured mid-range camera phone. Motorola V360 review - The Motorola V360 is an excellent mid-range camera phone, and one of Motorola's best offerings. Motorola V3X review - The V3X is the 3G upgrade to the super-slim Motorola V3 RAZR. Motorola V3XX review - The Motorola RAZR V3XX is the updated version of the RAZR V3X. Motorola V3i review - The Motorola V3i is the updated version of the super-slim RAZR V3. Motorola V500 review - A clamshell phone with camera, MP3 ringtones and Bluetooth. Motorola V525 review - The Motorola V525 is a clamshell phone with a still camera, MP3 ringtones and Bluetooth connectivity. It's not the most reliable of Motorola's V5xx series phones. Motorola V545 review - A clamshell phone with video camera, MP3 ringtones and Bluetooth. Motorola V547 review - The Motorola V547 mobile phone has a clamshell design, and includes a video camera, MP3 ringtones and Bluetooth. Motorola V550 review - An updated version of the V500, the Motorola V550 is a clamshell phone with video camera, MP3 ringtones and Bluetooth. Motorola V600 review - A clamshell phone with camera, MP3 ringtones, Bluetooth and video playback. Motorola V620 review - A highly-specified phone with video camera, MP3 ringtones and Bluetooth� wireless connectivity. Motorola V635 review - 1.2 megapixel camera phone with video camera, MP3 player and Bluetooth� wireless connectivity. Motorola V80 review - Fashion phone with unique rotating design. Motorola V975 review - An entry-level 3G clamshell phone with video calling and mp3 player. Motorola V980 review - The Motorola V980 is a 3G clamshell-style phone available exclusively on Vodafone. Motorola W220 review - An entry-level clamshell phone with an FM radio. Motorola Z8 review - A super-slim 3G Symbian slide phone, with 2 megapixel camera, video calling, music player, expandable memory, Bluetooth� & HSDPA (3.5G).